Altima, Sentra and Maxima may be the Nissans with the best name recognition, but their importance pales in comparison to the one I’m driving this week. 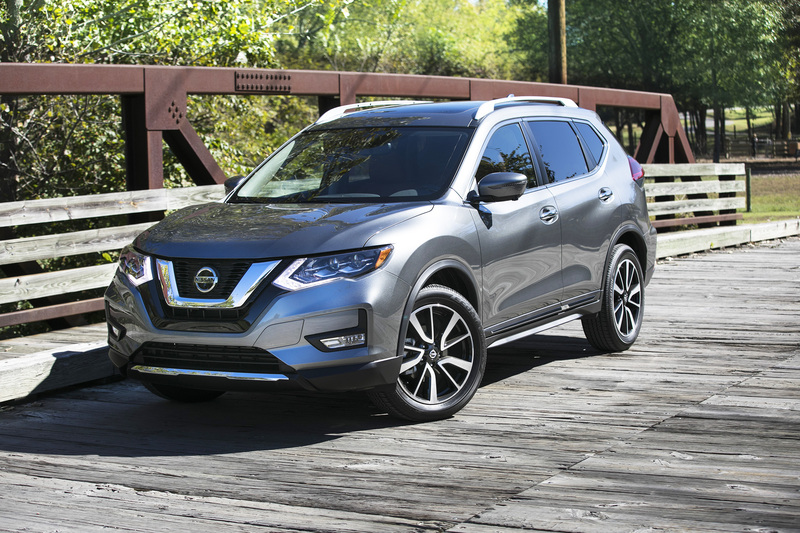 The midsize Rogue crossover has risen to become Nissan’s top selling vehicle, easily surpassing the sedans that once served as the bread and butter for this Japanese brand. It’s been such a hit that Nissan spun off an ever-so-slightly smaller sibling, the Rogue Sport, last year to give buyers a subtly different twist and juice its sales numbers even further. Why has the Rogue become such a hot seller? Part of it is sheer luck, as buyers’ fickle tastes have switched away from sedans and toward crossovers. If you want a trendy car for the family in 2018, you’ll shop for something like the Rogue with its SUV-inspired looks, upright stance and big honkin’ cargo door in back. Another part is more logical, though. The Rogue offers some key advantages and very few drawbacks, both compared to its competition and to other vehicles parked next to it on your Nissan dealer’s lot. The Rogue outsells more long-running nameplates including the Altima, Maxima and Sentra in Nissan’s lineup. For one, it doesn’t have much of a price or fuel-economy downside compared to a traditional sedan. Unlike the SUV craze of the 1990s, which was focused on huge vehicles that guzzle gas and cost a small fortune, today’s crossovers are downright sensible. The Rogue’s base price of $24,800 is within spitting distance of the Altima sedan, and its EPA fuel economy ratings of 26 mpg in the city and 33 on the highway are miserly for something this roomy. That’s not to say it’s perfect. I wish it offered a power upgrade, seeing how its 170-horsepower, 2.5-liter, four-cylinder engine feels merely adequate at times. Its mediocrity is highlighted by the power going through a continuously variable transmission (CVT), giving its acceleration a markedly rubber-band-like sound and feel when you stomp on the gas pedal. Granted — and consider this a huge compliment given my loathing of CVTs — the version in the Rogue isn’t too awful. Many buyers won’t notice the difference because it’s thoughtfully tuned to mimic shift points like a traditional automatic. It’s also a big reason for the Rogue’s impressive fuel-burn numbers. My picky car-nerd gripes about the drivetrain are offset by a new feature available this year: ProPilot Assist. In this class of vehicle, with an as-tested price around $36,000 thanks to all-wheel drive and options that pumped the cost up, I’ve never driven a better semi-autonomous system. ProPilot Assist can brake and accelerate in stop-and-go traffic, maintain a set distance from the vehicle in front of you and keep itself perfectly centered in a well-marked lane. It’s also easy to use, with only two buttons needed to activate it. I found it comparable to systems found on dramatically more expensive Volvos and Cadillacs. It offers a refined, well-sorted semi-autonomous driving experience that I didn’t expect from a vehicle at this price point. The Rogue’s interior features good visibility, ample cargo space and a roomy cabin for passengers. ProPilot Assist is available as part of the Platinum Package, a $790 option only available on the upscale SL trim level. Other upgrades for the Rogue in 2018 include standard NissanConnect smartphone capability featuring Apple CarPlay and Android Auto, along with a new Midnight Edition that offers a villainous, blacked-out look to the grille and emblems. Handsome looks, a family-friendly layout, affordable pricing and good gas mileage make it a compelling alternative to the traditional sedan.